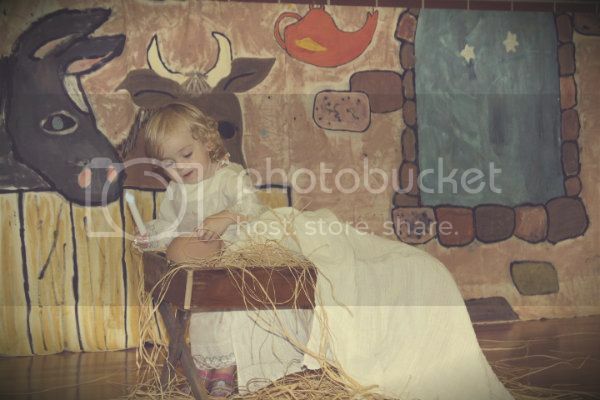 This year was Lucys first time in the church nativity play. She was given the choice of being a sheep or an angel. After educating her on what each character was, she chose an angel. I must admit I felt the temptation to get my "stage mum" on. 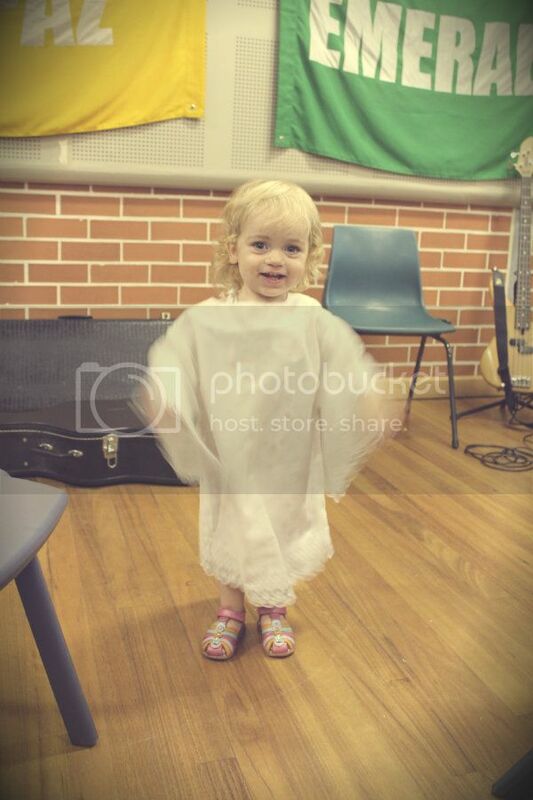 After all her enthusiasm and wing flapping off stage I think she became just a little overwhelmed and stood on stage staring out into the congregation. 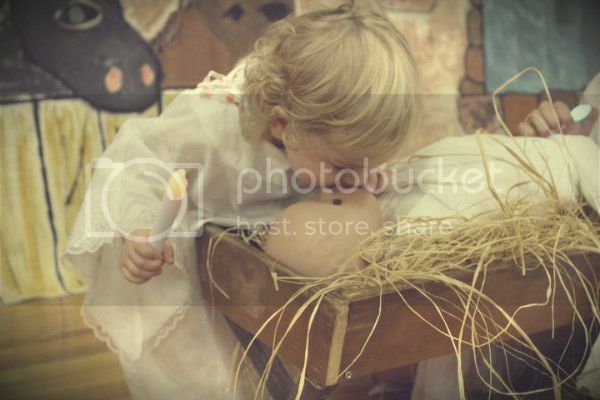 The best part (for Lu) about the whole thing was the baby Jesus lying in the manger. 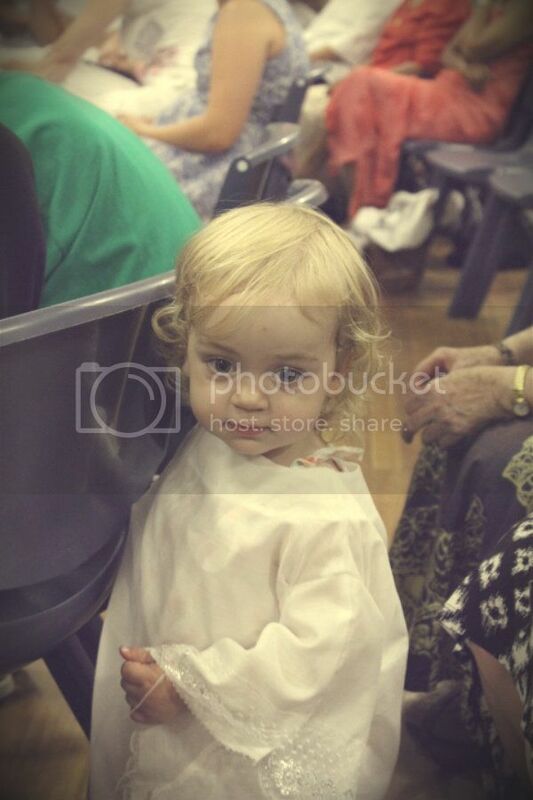 After church I was dragged up to look at, poke and kiss his sweet little face. *although I think it means that baby Jesus is a plastic doll with those freaky eyes that are supposed to close when you lie them down but after some time only manage to get halfway there leaving the appearance of a scary zombie baby. This is the funniest thing I have read all day .